Courtland Consulting works with many courts, agencies, organizations, and businesses to share our knowledge of new tools and technology trends that can help people do their job and market their programs and services. This Technology Trends article is the third in a series to share opportunities to take advantage of new online tools to easily collaborate and save time when working on team projects or delivering services to customers. With email historically being the main tool for businesses to conduct online communication, the expansive progression of new communication solutions now offers effective team and customer collaboration in real-time with video and web conferencing, direct messaging, calendar integration, audio, group chats, and more. Cisco, Microsoft, AT&T, and other technology corporations are paving the way to making workplace communications more efficient. The methodology that these companies are using is called Unified Communications (UC), which connects users to applications, team members, discussions, business workflows, and content in new and productive ways. UC essentially merges together separate communication methods into a single, combined user experience. Out of the many communication tools that are available, I will be covering in this article instant messaging and online meeting tools that are considered Software-as-a-Service (SaaS), which allows people to subscribe and use the application software in the cloud. These communication tools can be: 1) implemented to enhance the functionality to an office or agency’s already-established communication processes, and 2) offered either as stand-alone products or as fully-integrated cloud-based or on-site enterprise solution within a network. Instant messaging is an important and easy communication option that lets you efficiently interact in today’s multitasking business environment. These tools offer speed and brevity allowing you to chat in real-time to save time and reduce phone tag. Rapid and brief exchanges with instant messaging help to prevent communication overload. Many instant messaging tools allow for integration with audio calls, video conferencing, and web meetings. Managing discussions and files more easily when working on problems or with a group of people rather than trying to follow an email string. Two popular instant messaging tools that some Michigan courts are utilizing are: Cisco Jabber and Microsoft Skype for Business. Both tools allow you to communicate and work with coworkers, partners, and customers more quickly and securely. They also offer integrated instant messaging, voice and video calls, voice messaging, desktop sharing, web conferencing, and real-time presence (i.e., locating and identifying the availability of users to collaborate online). Other prominent stand-alone instant messaging or full-service UC solutions include but are not limited to: Slack, HipChat, Google Hangouts, ReadyTalk, Flock, Stride, IBM Sametime, and Oracle Beehive. Most people are already aware that online meeting tools can be used in many different ways to save time and money, improve communications and boost productivity. What is new in the online meeting technology evolution is its integration with other office productivity tools and the ability to instantly start or schedule online meetings from anywhere – your browser, email inbox, or mobile Apps. According to FutureMarketInsights.com, the web conferencing market in the U.S. is expected to be over $2.9 billion, which means with the high competition of companies offering online meeting services, these tools are more robust and affordable than ever. Integrating with other office productivity software such as Microsoft Office and instant messaging solutions for a seamless user experience. Three popular online meeting tools that some Michigan courts are taking advantage of are: Cisco WebEx, Citrix GoToMeeting and Microsoft Skype for Business. Whether you are conducting meetings, trainings, presentations, or remote trouble-shooting sessions via screen sharing, almost all online meeting software can be tailored for interacting with your colleagues and clients. Furthermore, most online meeting tools allow you to pass control of the meeting to another meeting participant as needed, and you can effortlessly schedule meetings instantly or in advance by using a personal or custom meeting web link (i.e., URL address). Other prevalent online meeting software include, but are not limited to: Adobe Connect, BlueJeans, LogMeIn, Join.me, Zoom.us, ReadyTalk, UberConference, Google Hangouts, IBM Sametime, VeriShow, and BigBlueButton. By adopting a unified and integrated communication technology delivery model, courts are able to tailor their technical office environments to shape the experiences they want for clients as well as for their court personnel. The following are concrete examples of how local courts in Muskegon and Washtenaw Counties, as well as the State Court Administrative Office (SCAO) and Judicial Information Services (JIS) are benefitting from communication tools to make their jobs easier. Sean Summerville, Information Systems Tech III at Muskegon County Family Court, stated that its County IT Department and the Friend of the Court (FOC) office capitalize on using technology to help improve communications within the court and with the public. For example, the FOC front desk staff use the Cisco Jabber instant messaging tool to contact fellow coworkers when clients show up for hearings rather than calling and tracking down staff members by phone. Jabber also syncs with the court’s phone system (VOIP) and Microsoft Outlook calendar, so if you are trying to instant message a coworker, you will know if the person you are trying to reach is available or not by seeing if he or she is on the phone or busy in a meeting. 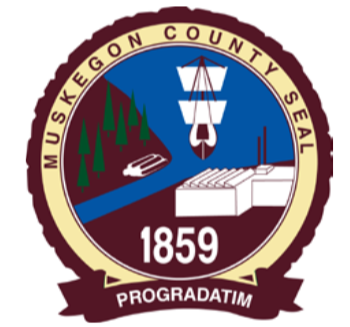 Additionally, Sean indicated that Muskegon County uses the Gotomeeting web conferencing software to provide timely remote support to court staff for its Electronic Content Management (ECM) paperless system. Gotomeeting allows the court to share screens with staff and record meeting sessions when necessary. Furthermore, the FOC depends on Facebook and Twitter social media channels to broadcast external communications to clients regarding walk-in hours and office closures for the court. Megan Ivey, Deputy Trial Court Administrator for Court Services and IT at Washtenaw County Trial Court, stated that one of their main communication technology goals is to provide as many ways as possible to make it easier for customers and partners to get their business with the courts completed more efficiently. Megan shared several exciting ways in which the court is utilizing integrated communication methods to get things done. For example, it uses Skype for Business on a regular basis within the workplace and, in particular, the video and instant messaging functionality. In fact, the majority of internal communication is through Skype rather than email. Whether it is checking a caseworker’s calendar to book a meeting or communicating with the recorder and Judges, Skype allows for an easy method to communicate without interrupting the court’s workflow. In addition, whether it is for planned meetings or to troubleshoot IT problems, the court uses online meetings to connect with each other. Megan indicated that the majority of their County IT and Court IT meetings are web-based meetings. Currently, the Washtenaw Trial Court website is integrated with the Trial Court’s case management system which allows visitors to look up public cases online without calling the court. Megan’s office also continues to use email distribution lists that are setup and managed by each department. The email lists are primarily used for emergency messages or mass broadcasts that need to be sent out throughout the entire court, and provide a simple and fast way to reach everyone. A future technology initiative for the Washtenaw County Trial Court is implementing an online jury management system which will allow for more interactive text messaging with the public for jury duty scheduling and communications. Another innovation, specifically for the Washtenaw County Friend of the Court (FOC), is the utilization of a dynamic Excel spreadsheet that is centrally shared with FOC staff to help streamline the management of client hearing appointments. Sue Watson, Enforcement Case Manager at the Washtenaw County FOC, programmed this spreadsheet for FOC staff to simply enter the time of the arrival for the person on the appointment spreadsheet, which is then automatically updated on the spreadsheet for the assigned officers to see. This new process has completely eliminated the extra administrative time that it used to take for front desk staff to page or call an officer for hearing appointments. Cody Gross, Chief Information Officer of the Judicial Information Services (JIS) Division at SCAO, stated that his team uses a combination of technologies as an integrated toolset to support and deliver services for the Michigan Judiciary. The software Slack, for example, is used in several different ways by the JIS team for simplifying communications. Specific channels are set up within Slack for JIS teams and projects to help organize conversations so people can quickly find and receive the answers they need. Slack is also integrated with JIS’ ticketing system so that when outages or issues occur, messages are sent out automatically to an outage channel. JIS teams can also participate in Daily Standup meetings from anywhere using Slack. Slack has enabled JIS project and services teams to interact in real time from anywhere to solve problems and find answers to questions quickly. Additionally, JIS manages other communication tools, one of which is a unified communication solution for SCAO called Cisco Jabber. Jabber allows users to communicate with anyone in SCAO using a desktop or mobile device. Users can instant message with each other, click and dial from an Outlook address book, and share desktop screens. Jabber is fully integrated with SCAO’s Microsoft Services so users can see if someone is in a meeting, away from their desk, or even out of the office. For video collaboration SCAO and JIS use WebEx and Polycom. Cody explained that all of these software tools combine to offer great value in helping to facilitate efficient communication and collaboration, with a many-fold increase in productivity for his team. Making the most out of each work interaction is always an extremely important element when it comes to communication. In my opinion, today’s communication tools continue to change the face of the workplace by offering many different ways to assist courts, agencies, organizations, and businesses with tackling initiatives, solving problems, and improving team collaboration. I would like to thank the court staff in Muskegon and Washtenaw Counties and the JIS CIO for speaking with me and allowing me to share the technical communication strategies that are being used within their offices. I hope you find this article beneficial with learning and exploring new avenues to help support and manage the important work you do for your court, counties, and communities! Feel free to send me your thoughts or how you have used any of these tools.